Hoffenheim vs Leverkusen predictions for Friday’s Bundesliga fixture at Rhein-Neckar-Arena. Can the visitors bounce back after tasting defeat on home soil last time out? Continue reading below for all our free tips and predictions. In failing to beat strugglers Stuttgart last time out, Hoffenheim continued to make hard work of getting themselves back amongst the Europa League challengers. Julian Nagelsmann’s men now find themselves four points shy of 6th place, which is currently occupied by Friday’s visitors, and need to start winning on a more regular basis. They remain a tough side to beat having lost just one of their last eight matches, though they’ve only picked up three wins during that time. Hoffenheim did fail to get the desired result in Stuttgart before the international break, though that’s not to say that they didn’t play well. Despite drawing 1-1, Die Kraichgauer played reasonably well, as they offered more than their opponents, winning the battle for supremacy in terms of shots, shots on target and expected-goals for count. 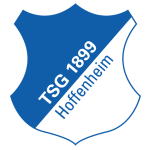 In addition to a reasonable effort on their travels when last in action, Hoffenheim come into this game off the back of several good performance in front of a home crowd. Friday’s hosts have now won each of their last two at Rhein-Neckar-Arena, while they’ve outperformed their opponents in terms of expected goals in each of their last three, posting respectable figures of 2.34, 2.99 and 1.25 for, conceding figures of 1.08, 0.35 and 0.6. Such numbers tell us that Nagelsmann’s men have been ticking along nicely at home, creating more and conceding less than their opponents. While Hoffenheim have generally looked solid at home in recent times, Leverkusen have been very hit and miss on their travels. The visitors did beat Hannover in their last away match, though their performance wasn’t without imperfections, as they conceded twice. In fact, conceding has been a bit of a problem for Leverkusen on the road this season. Peter Bosz’s men have conceded in all but two of their last ten travelling matches, while they’ve conceded a slightly worrying average of 1.64 expected goals. In contrast, Hoffenheim have shipped an average of just 1.15 at home. A lack of defensive solidity has been very apparent when Leverkusen have played away from home of late and it could be their shakiness at the back that allows Hoffenheim to profit on Friday. Not only have the hosts, who’ve conceded an average of 1.08 goals at home, given less away at home than Bosz’s men, who’ve shipped an average of 1.62, on the road, but the hosts have also tended to create more going the other way. As things stand, Hoffenheim boast an average of 2.39 expected goals for at home. Leverkusen have averaged 1.62 on the road. Given the above, coupled with the fact that Hoffenheim emerged victorious from the reverse fixture, with a positive expected goal difference intact, it’s easy to feel that a bet on the hosts to come out on top on Friday night offers a smidgen of value at the current prices. TSG Hoffenheim have lost just one of their last six Bundesliga games against Bayer Leverkusen (W3 D2) – a 4-1 home defeat in January 2018. Against no other current Bundesliga side is Bayer 04 Leverkusen’s win percentage as high as it is against Hoffenheim (67%). Hoffenheim have suffered 14 defeats and conceded 44 goals against Leverkusen in the Bundesliga – they only have a worse record in either department against FC Bayern (15 losses and 50 goals conceded). TSG Hoffenheim have won just three of their last 15 league matches (D10, L2) – only 1. FC Nürnberg (0) and Hannover 96 (1) have recorded fewer victories in that period. Draw specialists: The 1-1 draw in Stuttgart last time out was the 11th time that Hoffenheim have shared the spoils in the Bundesliga this season – more often than any other team. Hoffenheim have already dropped a league-high 21 points from winning positions this season. If every team had gone on to win after leading, TSG would be pushing for the title with 59 points. Hoffenheim’s Andrej Kramaric has scored seven goals in his last eight Bundesliga games. His goal in Stuttgart last time out saw him move level with Sejad Salihovic as TSG’s record goalscorer in the top flight (46 goals each). 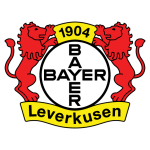 Bayer 04 Leverkusen have scored 21 goals in 2019 (2.3 per game), giving them the league’s second-best attack in the Rückrunde behind only Bayern München (32 goals). Leverkusen scored for the eighth matchday in a row last time out against Werder Bremen – it’s the Werkself’s longest goalscoring run this season. Leverkusen have won four of their last five Bundesliga away games (1 loss). They have scored at least twice in each of those five away matches.